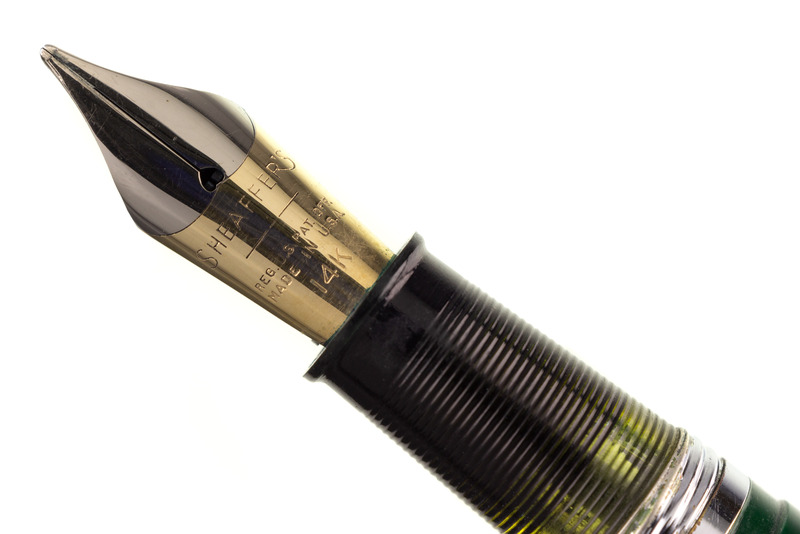 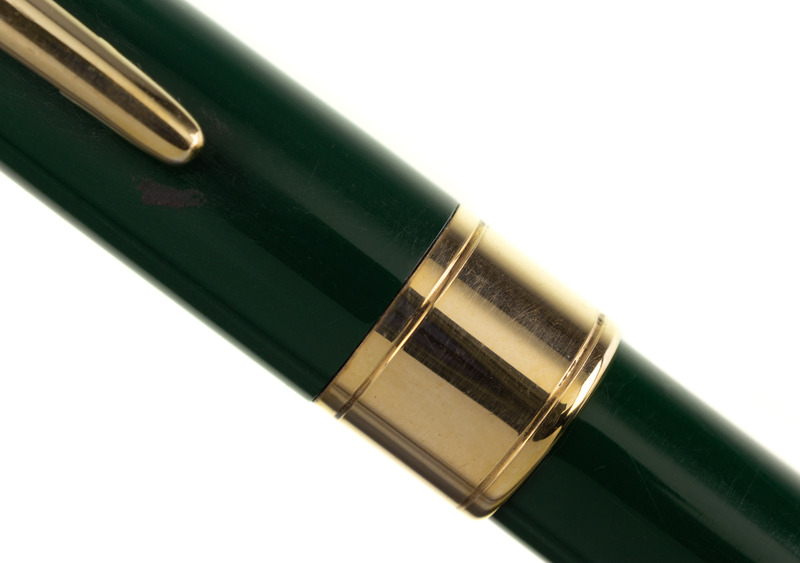 This fully restored Sheaffer's Lifetime Touchdown Fountain Pen is in excellent condition. 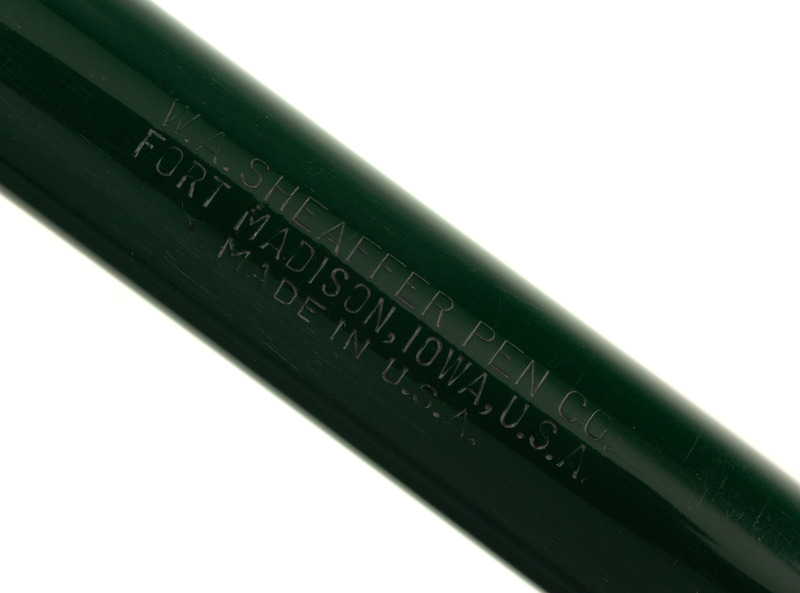 The Fort Madison, Iowa, U.S.A. imprint is crisp and sharp. 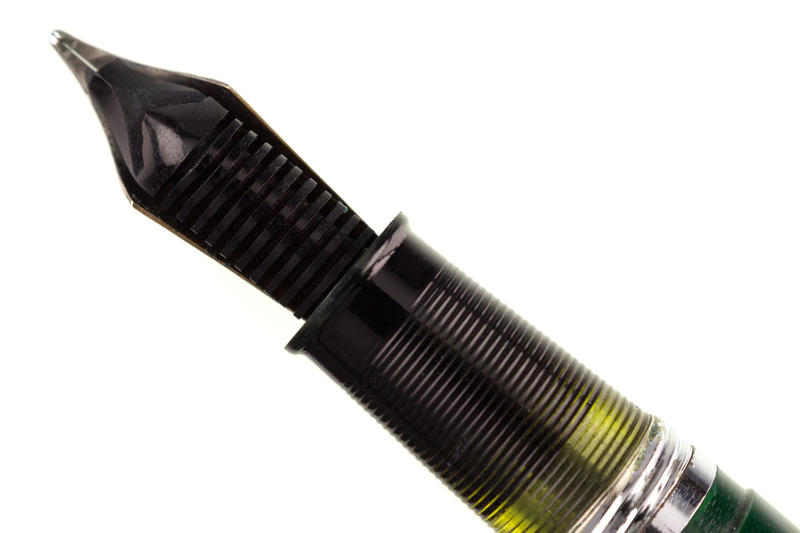 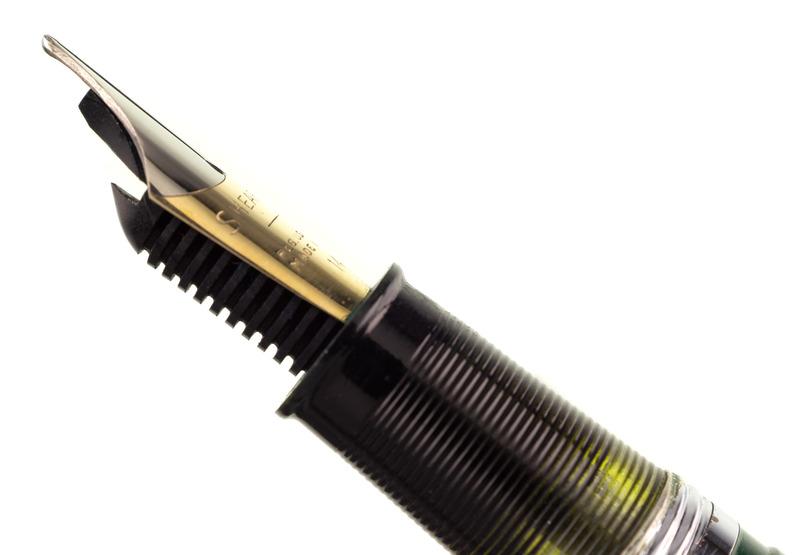 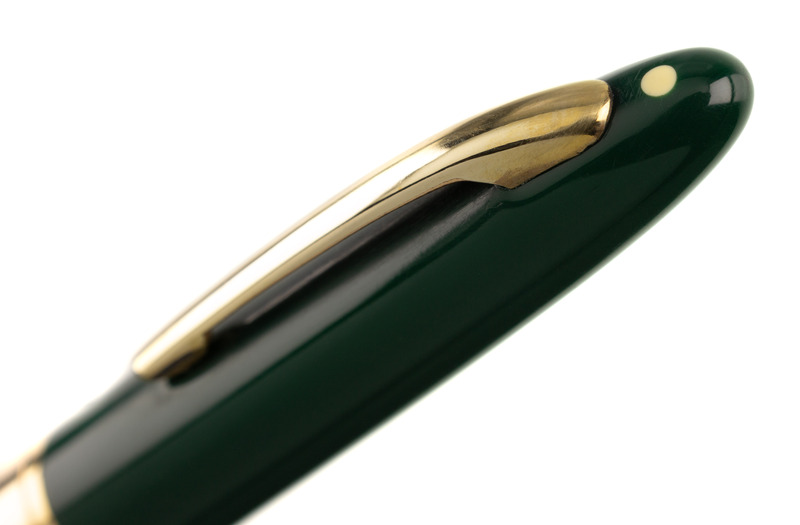 The 14k two-tone nib writes a smooth medium-plus line. 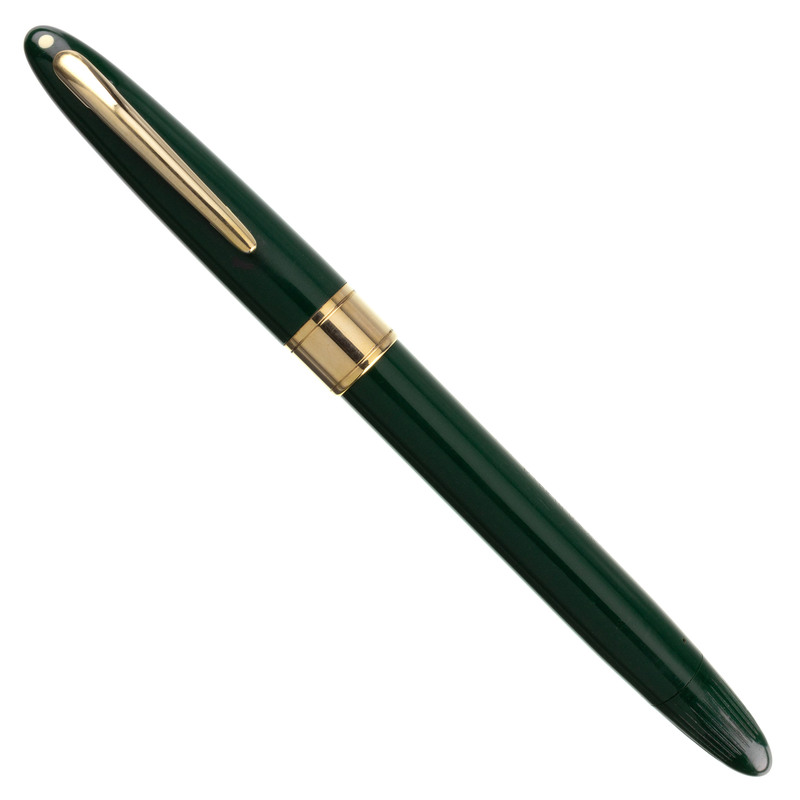 This pre-owned Sheaffer's Lifetime Touchdown Green pen will be fully tested and then tuned to your own personal writing preferences before shipping.